Service was quick and efficient, was kept regularly informed about the issues , details of repairs required and progress. I didn't go in expecting to buy a car on my 1st test drive. But I also did a TON of research. I watched online to see inventory come and go over the months until I thought I'd found the right one. So when I went to go buy my dream car I was surprised just how painless and easy it was to make such a major life decision with the staff at Austin INFINITI. They answered all of my many questions, and made things easy to understand. Because of that, I'll always feel good having my INFINITI serviced up the road at this location. Great people! Helpful staff and an awesome waiting room. They will still try and sell you everything, like most dealers, but they seem like they actual care enough to give honest answers to your questions. 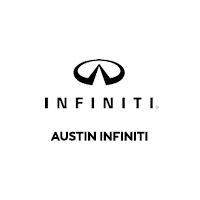 Welcome to Austin INFINITI, where we provide luxury INFINITI vehicles for the greater Austin, Lakeway, Round Rock, Georgetown, and Cedar Park areas. Our goal is to continually improve while building lifelong relationships with our customers. When you visit our family owned and operated dealership, we will meet all of your automotive needs. The INFINITI vehicles we sell feature the latest automotive technology, stunning design, and top performance. Vehicles like the INFINITI Q50, QX60, and QX80 will turn heads and will redefine what you think of a luxury automobile. Our friendly, experienced staff will work with you to find the vehicle that is right for your lifestyle in a relaxed, zero-pressure environment. Drivers looking for the quality of a new vehicle with a more convenient price can choose from Certified Pre-Owned INFINITI vehicles that have been inspected for quality and come with the confidence of warranty protection. We also carry used cars from a variety of automakers.